Proudly Serving the Town of Mammoth Lakes. And ALL of Mono County. 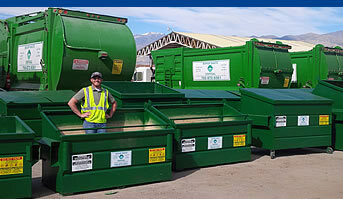 Our transfer station is a convenient waste and recycling center open to the public. The facility provides a variety of services which include waste disposal, recycling, and hazardous waste disposal. Planning a wedding, retirement party, concert, craft fair, community function or sporting event? Mammoth Disposal is here to help! 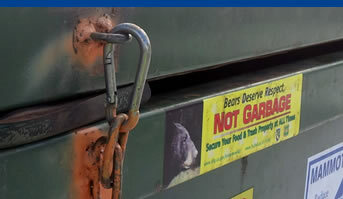 We have bear-resistant dumpsters, portable toilets and sink units, toilet trailers, and recycling services meet the needs of your event. Mammoth Disposal operates the only “Buyback Center” in Mammoth and Mono County. California Redemption Value (CRV) products such as glass, aluminum, plastics 1 PETE and plastics 2 HDPE are accepted. 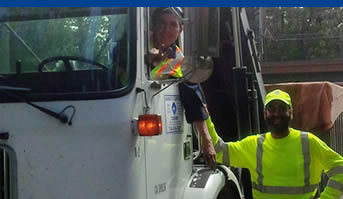 Mammoth Disposal provides trash service that is sure to meet your business or family home needs. Click here to learn more about your options. Our diverse workforce provides waste removal from your location and also operates a Waste and Recycling Center 7 days per week. We can schedule a time to visit you or you can visit us. If you have a new account, you must receive your first bill in the mail before you can create an online bill pay account. Once enrolled, you will be able to view a summary of your recent bills and pay any that are outstanding.